Knowing a client's story is critical to preparing the right financial plan for the right situation. Careful analysis, product knowledge, planning experience and consistent monitoring are crucial to the process. But, above all, there should be an absolute commitment to always, in all ways, put the client's best interests first. That requires integrity. At LPL, our team of experienced industry leaders has forged by a "Code of Ethics," which all of our advisors have signed as a pledge of their commitment. This means clients can expect thoughtfulness, responsiblity, and accountability. In addition, LPL offers no proprietary products, allowing advisors to select from a wide array of available products to create the financial plan that best addresses the client's financial goals. At LPL, our advisors know their clients will be treated the right way, and not just the way they think they are supposed to be treated. But in a way that reflects the kind of ethics and integrity that comes from the heart. In other words, we are not just a new wealth management firm, but a "new kind" of firm. 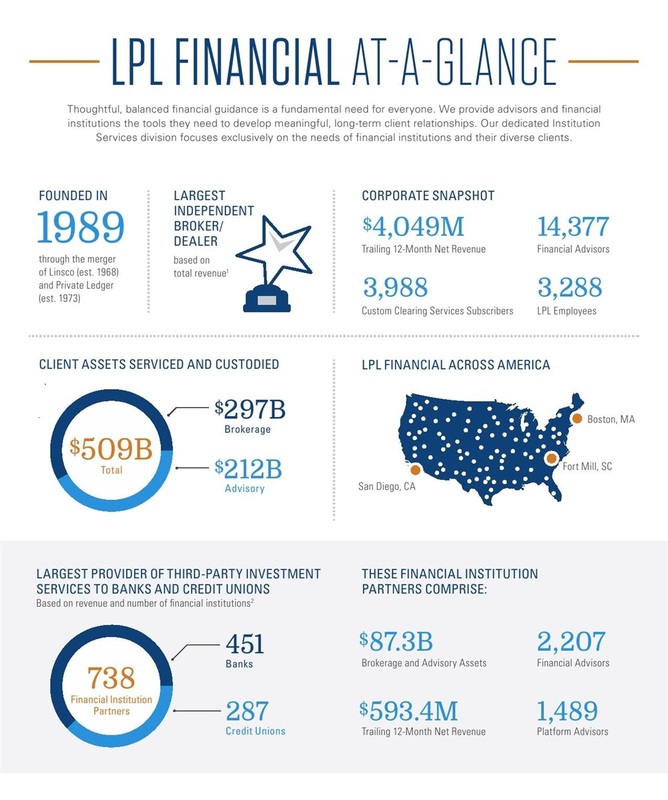 LPL is a full-service financial services firm committed to helping our clients pursue their financial goals and dreams. 1 As reported by Financial Planning magazine, June 1996-2018, based on total revenue.